The primary purpose of this book is to explain the distinction, on the one hand, between indoctrination and education, and, on the other, between responsibility-subverting manipulation and mere causation. Both are elucidated by an appeal to common ground, an account of when our motivations and other springs of action are "truly our own" or "authentic." 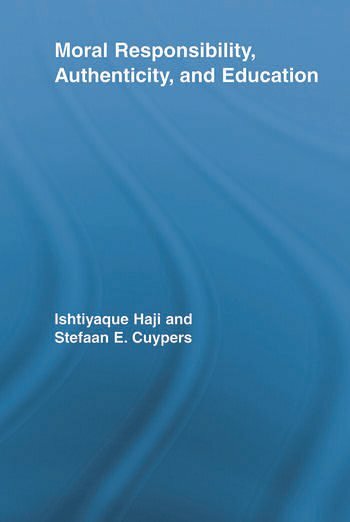 The book progresses from analyses of the sort of agency that responsibility requires and the authenticity of our motivations, together with a discussion of the relevance of these analyses to manipulation and related problems in the philosophy of education, to a defense of the thesis that responsibility from love's standpoint is of vital significance, and the implications of this thesis for what the authors deem to be legitimate goals of education and other issues in free will. Philosophers and advanced students working in free will, moral psychology, and the philosophy of education will find this text to be extremely useful. Acknowledgements. 1. Introduction: The Metaphysics of Responsibility and Philosophy of Education 2. Moral Responsibility, Authenticity, and the Problem of Manipulation 3. A Novel Perspective on the Problem of Authenticity 4. Forward-Looking Authenticity in the Internalism/Externalism Debate 5. Authentic Education, Indoctrination, and Moral Responsibility 6. Moral Responsibility, Hard Incompatibilism, and Interpersonal Relationships 7. On the Significance of Moral Responsibility and Love 8. Love, Commendability, and Moral Obligation 9. Love, Determinism, and Normative Education. Appendices. Notes. References. Index. Ishtiyaque Haji is Professor of Philosophy at the University of Calgary. He is the author of articles in ethical theory, metaphysics, action theory, philosophical psychology, and the philosophy of education, and of the books Moral Appraisability: Puzzles, Proposals, and Perplexities (Oxford UP, 1998) and Deontic Morality and Control (Cambridge UP, 2002). Stefaan E. Cuypers is Professor of Philosophy at the Catholic University of Leuven (Belgium). He is the author of articles in the philosophy of education and the philosophy of mind, and of the book Self-Identity and Personal Autonomy (Ashgate, 2001).